The first documented evidence of a ‘Royal Arch’ comes from Ireland in 1743; it seems likely that this was an ‘added extra’ worked within craft lodges in England , Ireland and Scotland for many years. Thus it came to be regarded, by the Antients in England , as a fourth degree in Freemasonry. 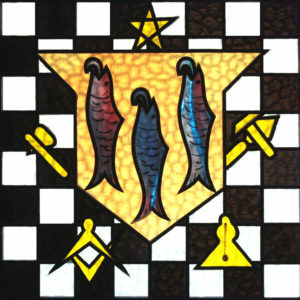 Abbey Chapter was formed some time after the lodge that bears the same name and number. It meets on the third Thursday of February, April and September and on the first Thursday in November. 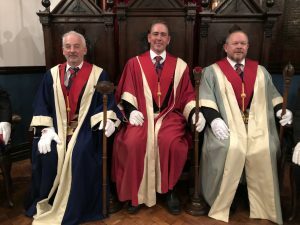 The meeting in December 2014 celebrated the Chapter’s Centenary. Have a look at the images that were captured on this happy occasion. 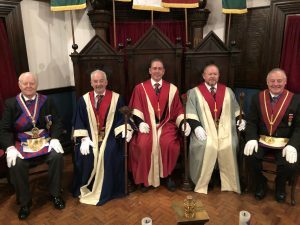 The images above are from the 2019 Chapter Installation meeting when E.Comp Simon Capstick was installed as First Principal. 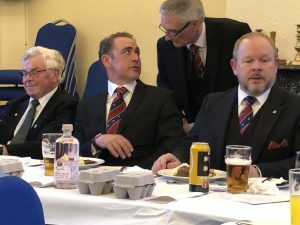 True to form, Simon brought along his signature raffle prizes – new-laid eggs which helped the Chapter raise £100 on the night for charitable purposes. We hope the new Principals have a great year and see the Chapter go from strength to strength.